Home Hindu temple festivals travel & tour Shivaratri - festival dedicated to lord Shiva - the first Yogi in the universe!! Shivaratri - festival dedicated to lord Shiva - the first Yogi in the universe!! In the Kashmir region Stradivari goes by the name of Haerath or Herath. 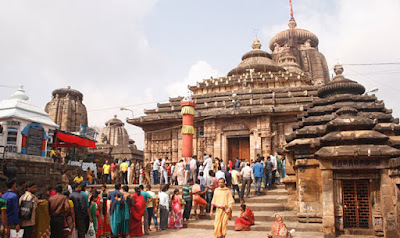 In West Bengal, Maha Shivaratri is observed with intense devotion by unmarried girls seeking a suitable groom, often visiting Tarakeswar temple. At the huge Arunachala temple in the temple town of Thiruvannamalai, Tamil Nadu. Mahashivaratri is celebrated on a grand scale. On this day, a large preponderance of ardent Shiva devotees undertake what is called 'Girivalam'/Giri Pradakshina (going around the Arunachala hill), a 14-kilometer long stretch, bare foot walk around the hill. A giant oil lamp is lit on the hilltop at sunset and it differs from the famous Karthigai Deepam. 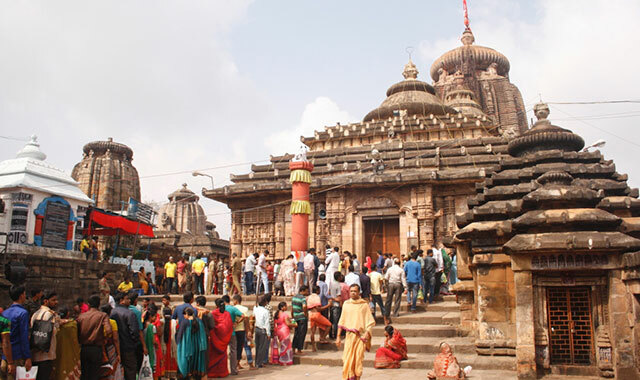 At this temple Shiva represents one of the Pancha boothas - Agni (fire) The major Jyotirlinga Shiva temples of India, such as in Varanasi and Somanatha come alive and lots of devotees visit them. In Gujarat, the festival is held at Junagadh where bathing in the Murghi kund is considered holy. According to the legend, Lord Shiva himself comes to bathe in the Murghi kund. 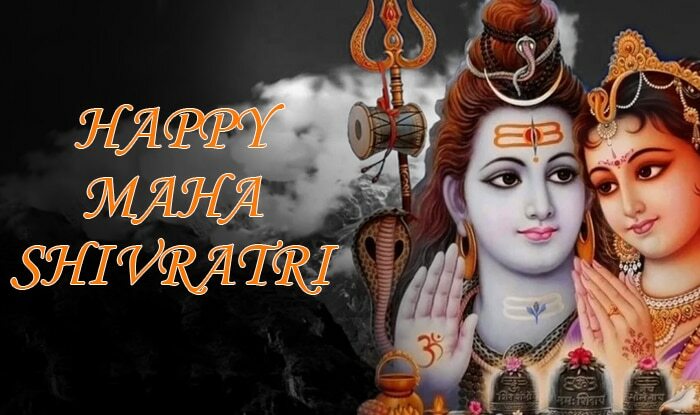 Maha Shivaratri, a popular Hindu festival celebrated annually in honor of Lord Shiva across India is an interesting one. In every lunar-solar month of the Hindu calendar there is a Shivaratri on the 13th night/14th day. The one that falls once a year in the late winter (February/March, or phalgun) before the onset of the Summer, gains religious importance and is called Maha Shivaratri which means "the Great Night of Shiva". It is not like most other Hindu festivals which are celebrated during the day. The Maha Shivaratri is celebrated at night, devoid of cultural revelry, it is a solemn event well-known for introspection - self-analysis, meditation, concentration and self-control. 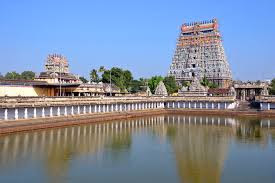 The whole night vigil at the Shiva temples marks, social harmony and integration of various communities for a common purpose - meditation on Shiva, and an all night vigil at Shiva temples is part of prayer. watches the growth out of the decay. During Mahashivaratri we have to be alone with our sword, the Shiva out of us. We have to look behind and before, to see what evil needs eradicating from our heart, what growth of virtue we need to encourage. Shiva is not only outside of us but within us. To unite ourselves with the One Self is to recognize the Shiva in us''.—The ............................... Theosophical Movement, Volume 72. On the day of Shivaratri, devotees stay awake whole night, engaging themselves in meditation and prayer. The most important part being fasting and focusing attention on the ethics and virtues of life that shape the human mind. Integrity, honesty, self-control humility and forgiveness are vital to every human being to achieve victory over oneself. Normally, on this day, devotees visit the near-by Shiva temple and participate in the prayer, bhajans, etc or go on pilgrimage to Jyotirlinga temples. The latter needs time and money to undertake a holy trip and devotees form groups and visit the temples across India with a guide. Every Hindu festival has a sort of some mythological story. The Hindu scriptures say the churning of the celestial ocean Samudra Manthan by the Asuras on one side and Devas on the other using the giant serpent Vasuki as a giant rope was done with a view to getting the Amritha - the nectar of immortality. The Asuras were particular about getting it. The poisonous scum that initially came out on the side of Devas very much affected them, endangering their lives. In the process God Vishnu turned deep blue. Upon prayer both by the Asuras and Devas, God Shiva swallowed the poison and thus saved them and the universe. Lord's consort Parvati, concerned about Shiva's health, held his throat for a day and night to avoid the poison getting down the throat. The poison never got into his body, however, his throat turned blue as the poison lodged there for ever. 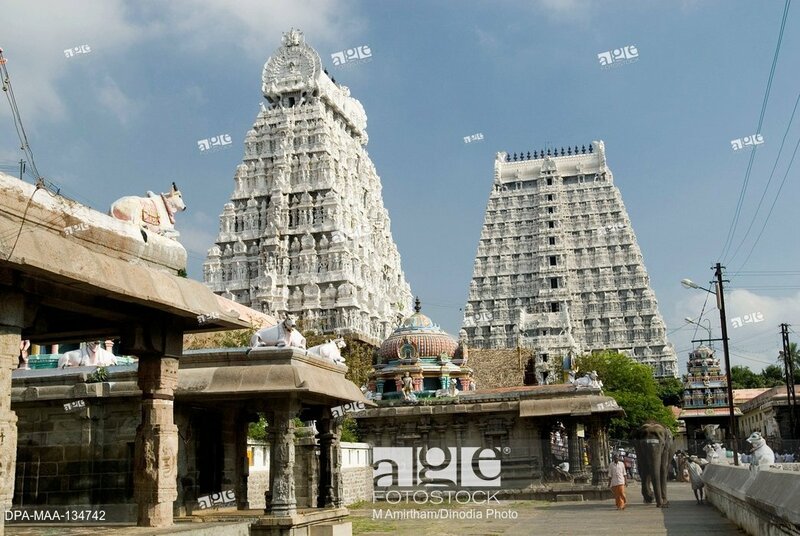 Hence Shiva assumes the name of Neelaknda, the name quite popular in Tamil Nadu and also in other southern states. To prevent damage to the lord, Goddess Parvati stayed whole night and day, so we too engage in fasting and do Jagaran (being awake for the entire night). 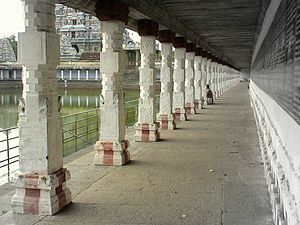 The festival of Maha Shivaratri marks the fasting and meditation on God as was done by Pavati. .
At Major Shiva temples across India, the Shiva Lingam is worshiped throughout the night by anointing it it every three hours with milk, curd, honey, rose water, etc., amidst the chanting of the Mantra ''Om Namah Shivaya''. Offerings of bael (Bilva leaves) leaves are made to the Lingam. as they are sacred; it is said, Lakshmi resides in them. People who utter the Panchakshara Mantra, ''Om Namah Shivaya'' during Shivaratri, with dedication and devotion will be freed from all sins and get salvation- deliverance from the cycles of birth and death and the associated pains with them. Thus, they, it is believed, will live in the quiet world of eternal bliss in the shadow of the Lord. "Maha Shivaratri symbolizes the last holy bath of the Kalpvasis and as per the mythology, this day is awaited in the heavens as well," This is a very rare coincidence and the Sangam area will remain more crowded than previous years since it is the last bathing day,"Today, the Kumbh Mela in UP's Prayagraj is set to witness the last dip at the Sangam, or the holy confluence of the Ganga, Yamuna and the mythical Saraswati, on the occasion of Maha Shivaratri. This Mela, one of the largest religious gatherings in the world, was held in Uttar Pradesh's Prayagraj from January 15 on Makar Sakranti to March 4 (Maha Shivratri) this year. It is celebrated four times over a course of 12 years. Some scriptures point out this is the night of Shiva's dance. Many Puranas deal with The Maha Shivaratri; mention may be be made of the Skanda Purana, Linga Purana and Padma Purana. Though there are different versions about Shivaratri, the primary objective is self analysis and this is done by way of meditation on God, fasting, paying obeisance to icons of Shiva such as the Lingam. This is also the night on which both lord Shiva and Parvati got married and began their virtuous path of life. Khajuraho, Pattadakal, Modhera and Chidambaram (Tamil Nadu). 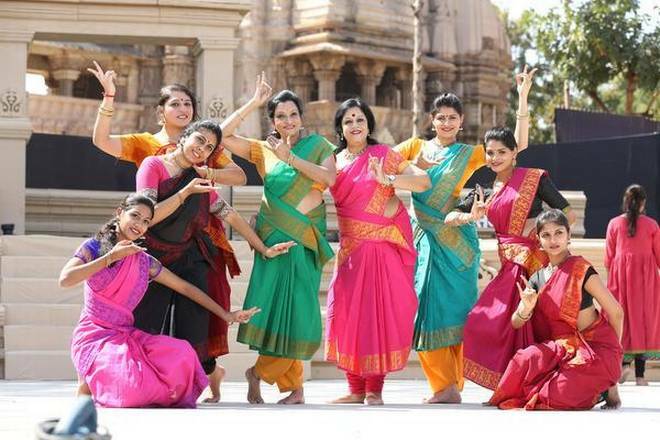 This graceful dance event is called Natyanjali, literally "worship through dance", at the Chidambaram temple which is famous for its sculpture depicting all dance mudras in the ancient Hindu text of performance arts called ''Natya Shastra''. 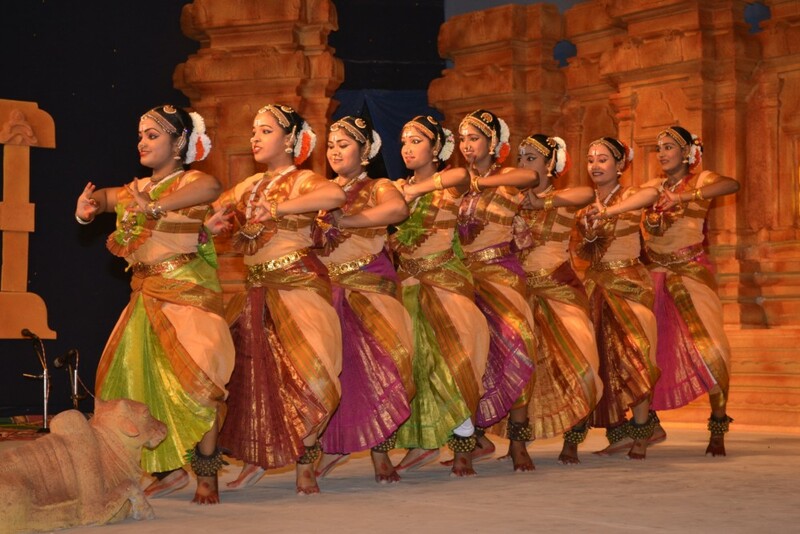 It draws artists from various schools from Tamil Nadu and other states as well. Equally famous are the dance festivals at Khajuraho Shiva temples, a major fair and dance festival on Maha Shivaratri day. 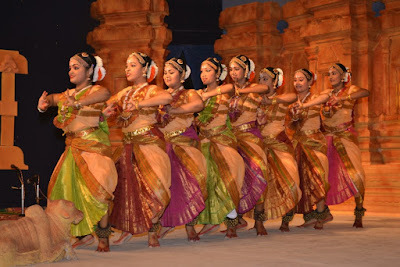 The annual dance festivals at Chidambaram (TN) and Khajuraho (Odisha) temples, where dance is held against the backdrop of the temples, offer unique visual treat to the visitors.The artists from other states show their skills in nuances of their respective age old dance traditions. As for the rasikas, it is indeed a rare opportunity to watch performances in such an aesthetic setting and it is a delightful experience that will be long cherished by them. By the same token, for the well-trained artistes they get a better exposure in a different environment. This dance event has been around for several centuries and the state tourism departments give solid support to preserve our cultural matrix and ethos to maintain the unbroken continuity despite the onslaught of western influence.